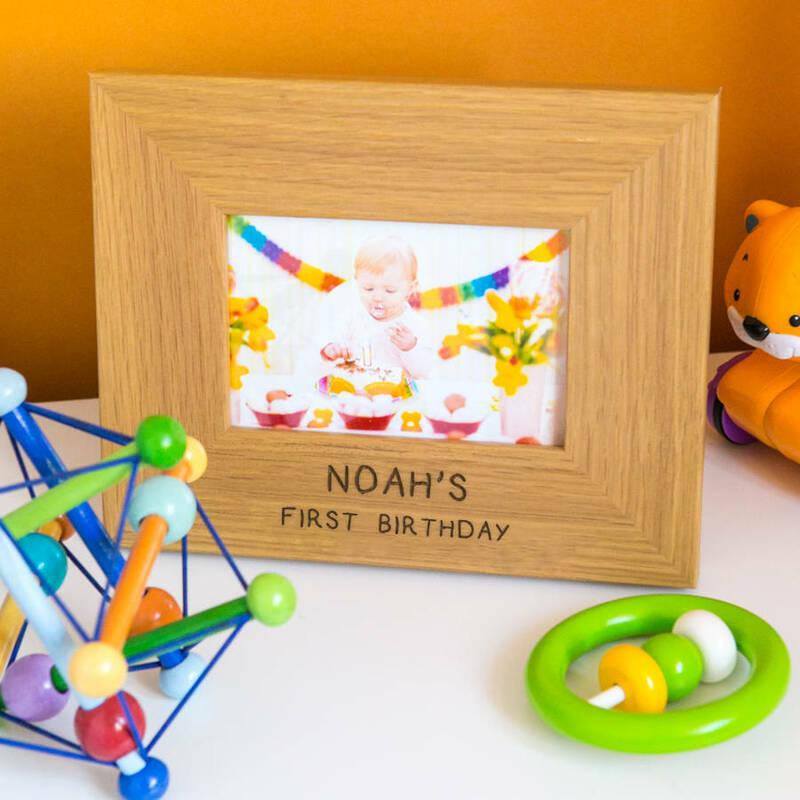 Make it a happy birthday by giving this Personalised Child's Birthday Oak Photo Frame as a special gift for a special child. This charming photo frame is the perfect place to display a picture from a birthday celebration and is sure to earn a place of honour on a tabletop or mantel. 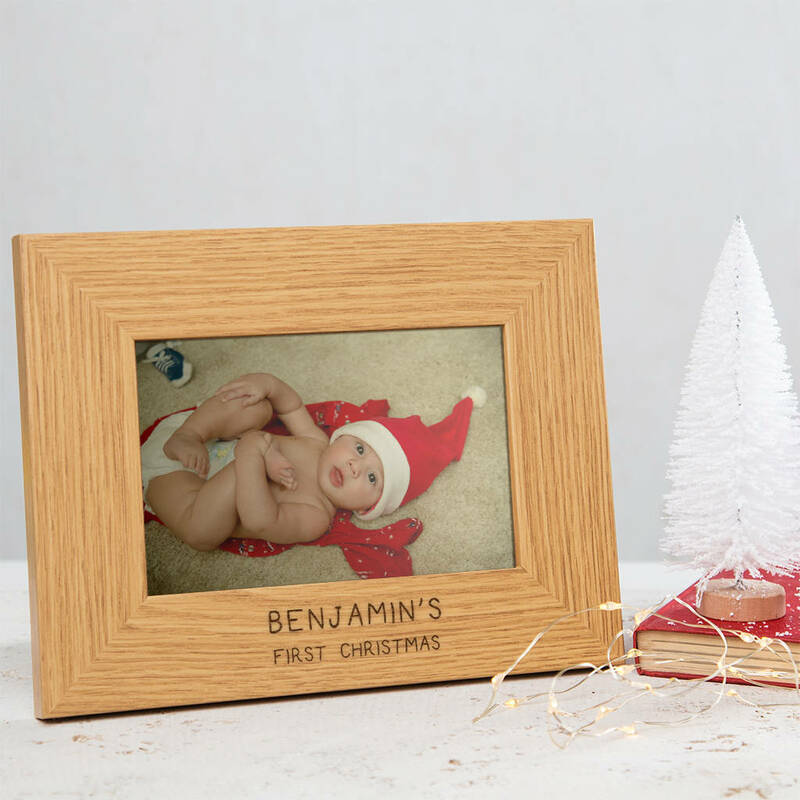 Sized to hold a 6-inch by 4-inch photo, the frame can be designed to accommodate a landscape (horizontally oriented) or portrait (vertically oriented) photo. 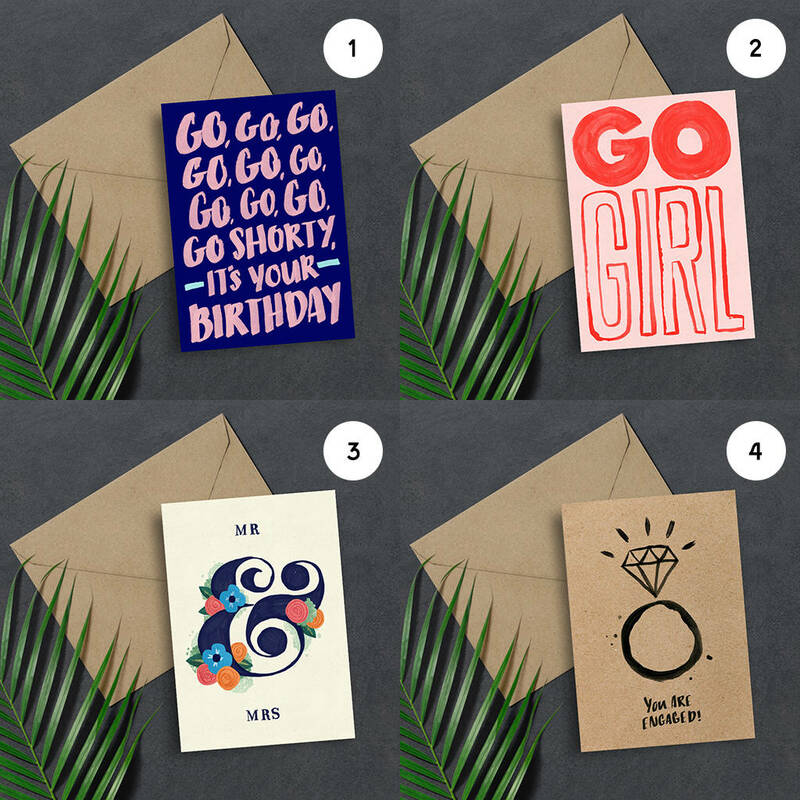 Two lines of personalisation will be laser engraved on the bottom of the frame in a whimsical font, giving it a playful, youthful quality. 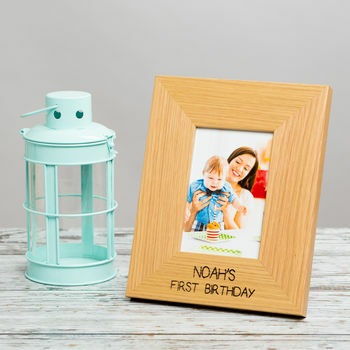 Not just great for birthdays, this frame can be given to welcome a new baby, celebrate a christening or a first birthday. 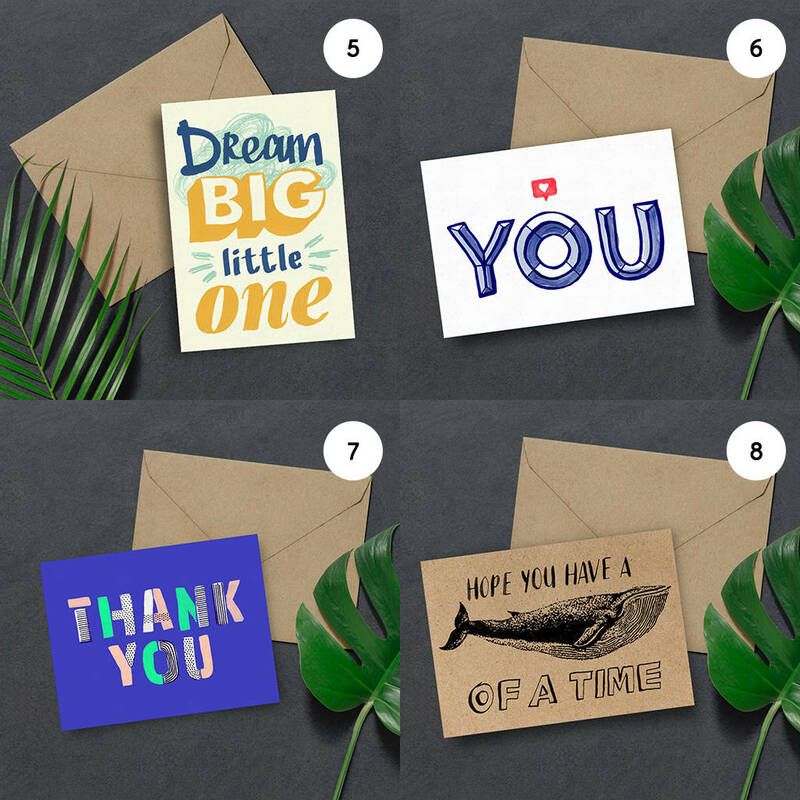 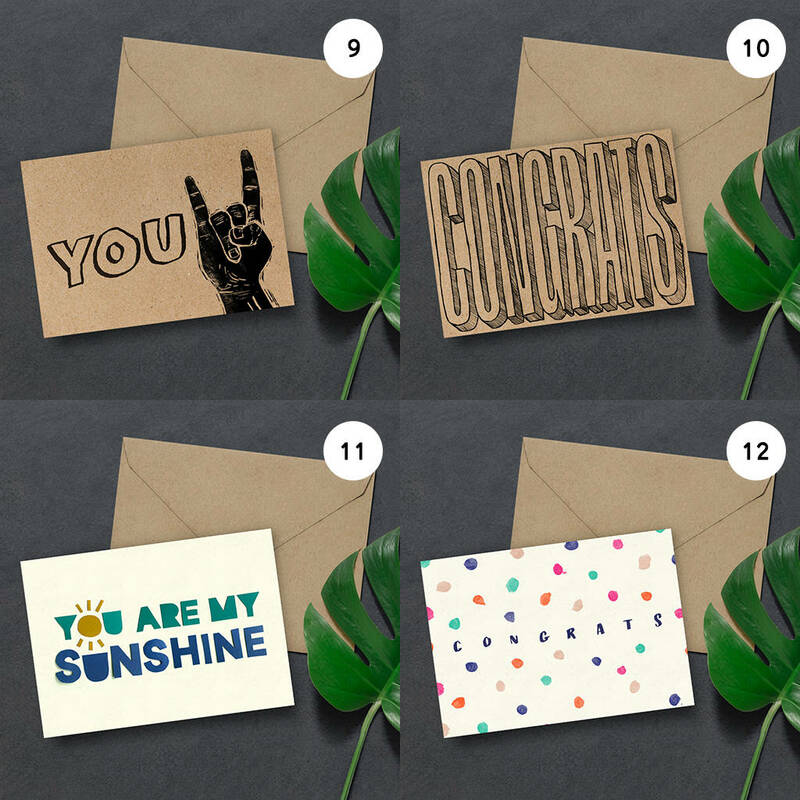 While we strive to make your frame as personal as possible, we only have the capacity to engrave the gift with a personal message, and we cannot print a photo to place inside it. 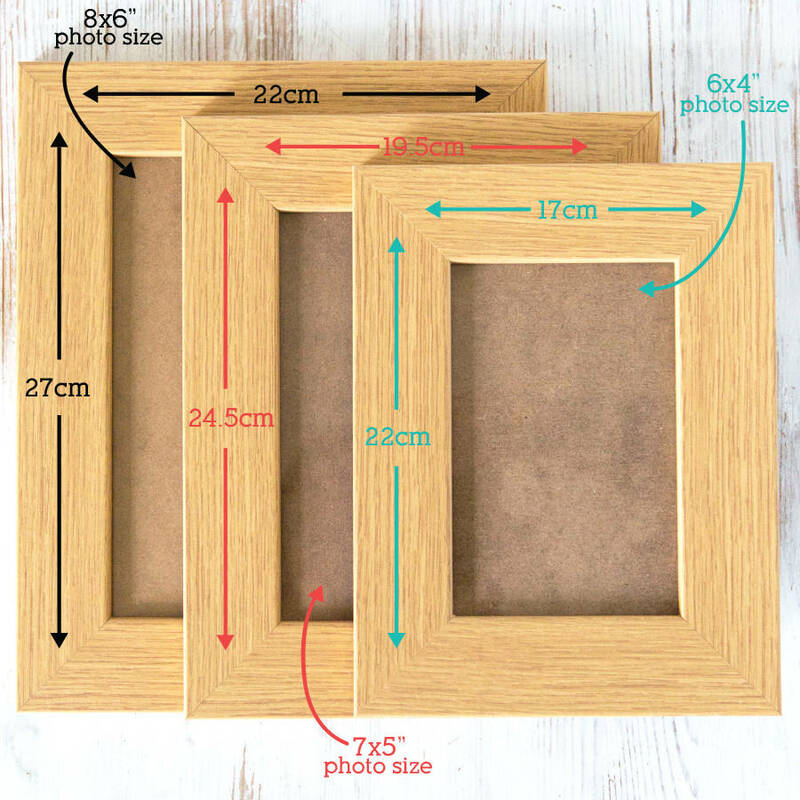 Standard Frame - Suitable for standard photo size 6x4", Large Frame - Suitable for photo size 7x5" & Extra Large Frame - Suitable for photo size 8x6"
Solid Wood with Oak Veneer Exterior, glass insert.